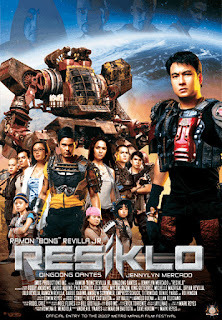 Set in December 2021, Resiklo is the story of Crisval Sarmiento, an ex-military Colonel who leads a rag-tag group of survivors in the Philippines against the insect-like alien invaders known as the Balangs meaning "locusts. "Because of the enormous expenditures in resources during the invasion, the humans are forced to scavenge the destroyed landscape for anything that could be recycled and put to use at their secret sanctuary, called Paraiso. 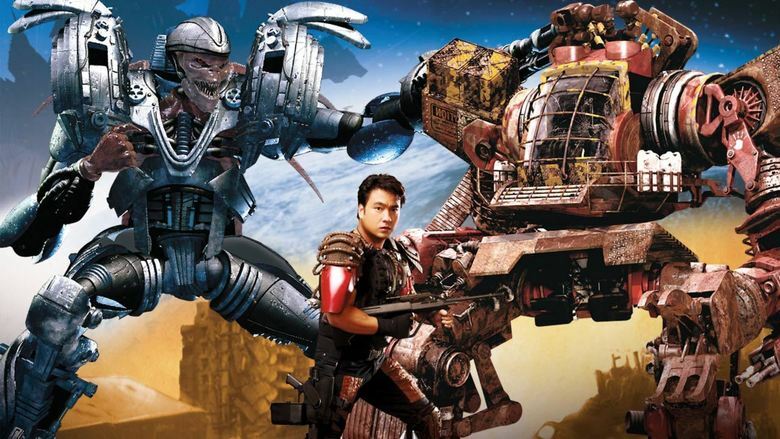 However, they are in a race against time, as in addition to the resource gathering, the survivors are fighting to eliminate the Balangs and their human collaborators, the Mutanos, while keeping Paraiso's location secret and along the way, uncovering the truth behind the invasion as well. 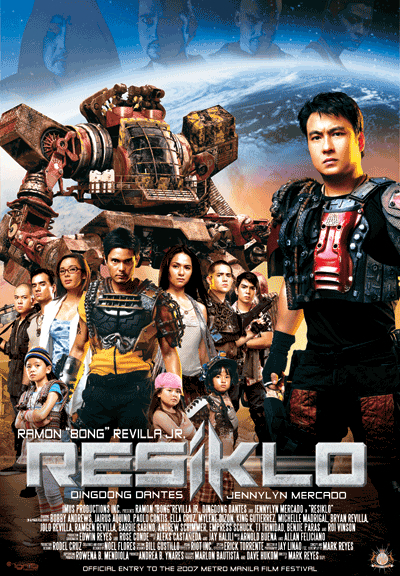 Resiklo is a 2007 Philippine post-apocalyptic sci-fi romance comedy movie starring Sen. Bong Revilla. It is the entry of Revilla's outfit, Imus Productions, to the 2007 Metro Manila Film Festival.